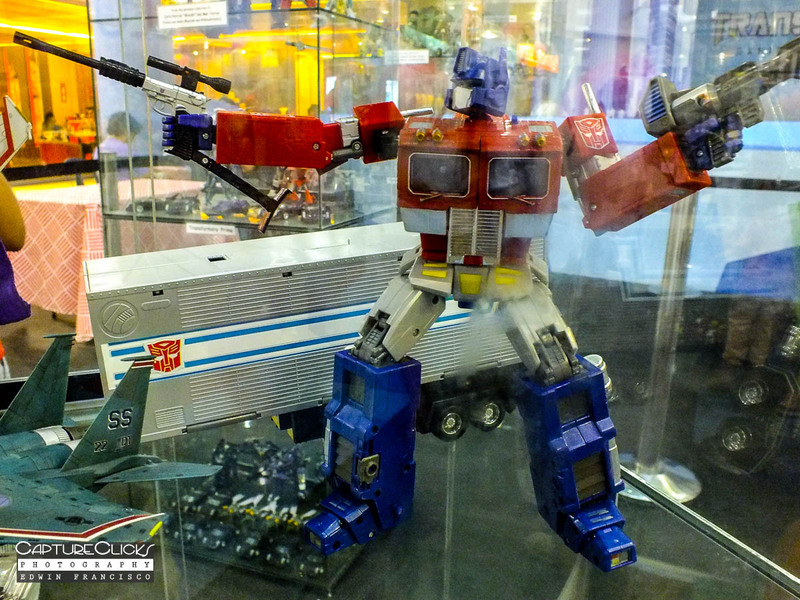 There was a Transformers exhibit yesterday at SM Bicutan, actually it lasted for a week, but yesterday was the last day. This is to promote the toys and the new movie called Age of Extinction. I took the time to take pictures since me and my wife had some free time. I was happy that I actually made it, I was looking forward to see it since it was so close to our home. 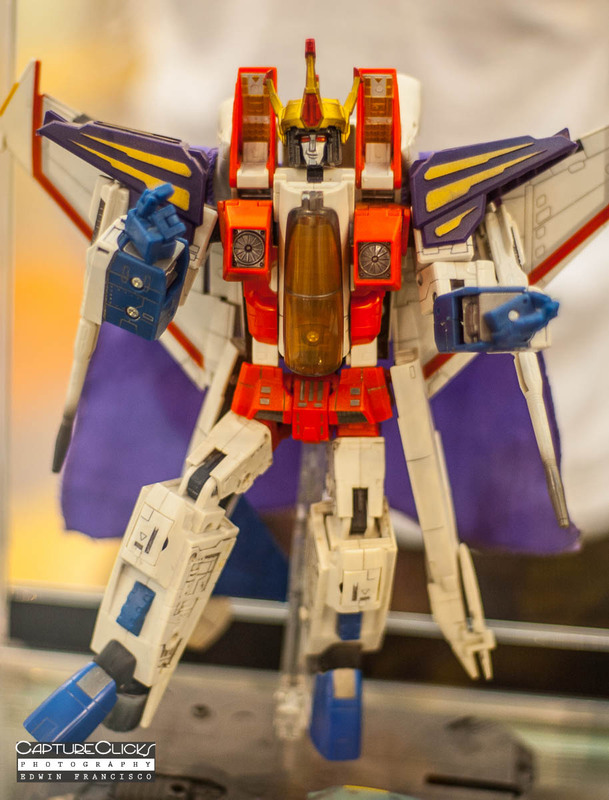 Optimus Prime and StarScream (based on the 1986 animated movie) is an updated model based on the 1980s toy line. 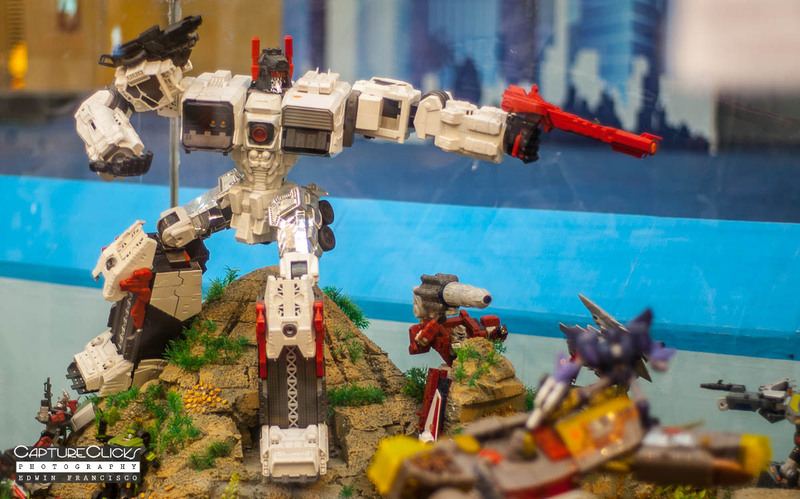 Even Metroplex is so far the largest Transformer being sold right now just released within the year if my memory serves me right, it’s just weird that Metroplex is larger than Unicron which is supposed to be the largest Transformer in the storyline. 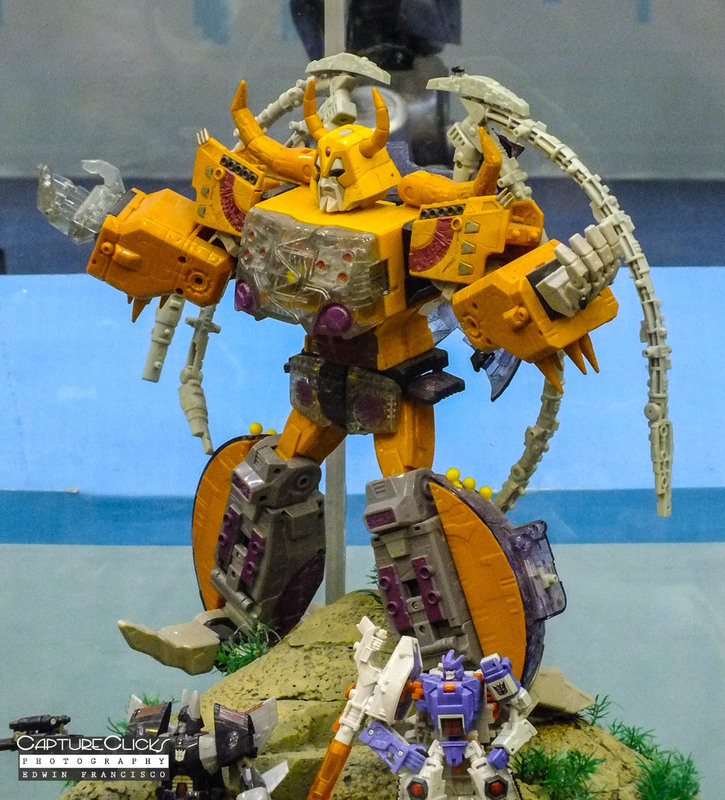 From what I understand, the Unicron that was on display is the Armada version (2003). I’m a little disappointed that they didn’t have a lot of classic toys, I wanted to see the Constructicons and Devastator. Well, about taking pictures of the exhibit, to tell you the truth, it was very cramp. There was only a very small area for all the toys to be displayed. It was difficult to find a proper position to get pictures. The diorama itself is pretty big, but they put a big barrier so that no one can go near it. because of that, I had to use the Fujifilm HS25EXR to get a good wide angle and zoomed in closeups. But using that indoors was not really easy to use. It made most of my shots blurred, that I had to use the Advanced night mode which the camera takes 4 shots in iso3200 and merges them into one image. Since the place was cramped, trying to setup and looking for a good angle, I kept hitting somebody in the area, so I just had to shoot and move on to the next one. I was able to get some shots with the Pentax K100D Super, but since the space was very small, planning and framing was not easy. I liked my shots at the Scale Model Competition 11 better because I had more space and room to get better angles even though I used the HS25EXR. But I’m still very happy with some of the shots, especially with the ones taken with the K100D Super. 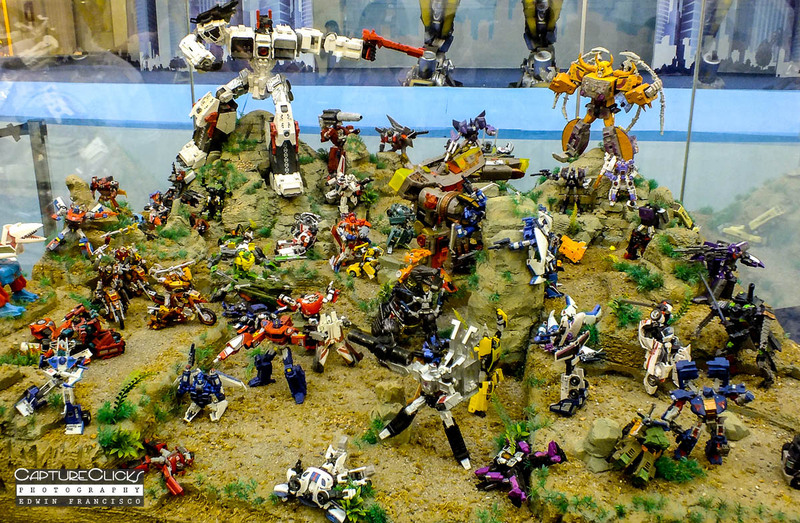 This entry was posted in Fujifilm Finepix HS25EXR, Pentax K100-D Super and tagged diorama, exhibit, fujifilm hs25exr, pentax k100d super, toys, transformers. Bookmark the permalink.